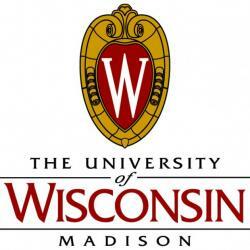 We have an immediate opening for a postdoctoral researcher in the Microtechnology, Medicine and Biology (MMB) lab at the University of Wisconsin-Madison (http://mmbwisc.squarespace.com/). The ideal candidate is expected to be a productive, creative individual with the ability to think critically, learn quickly and function both independently and within a team. The MMB lab is engaged in multiple areas of research including cancer, multi-kingdom interactions and microtechnology solutions to study cell behavior and interactions, within a multi-disciplinary environment. The current opening provides a unique opportunity to investigate the effect of modern lifestyle factors (e.g. high stress) and their consequences on immune cell function and inflammation, in collaboration with the Davidson lab in the Center for Healthy Minds. A specific focus will include investigating the ability of meditation to modulate the immune response to stress and the opportunity to bring mindfulness based stress reduction techniques into clinical practice. Ph.D. or MD/PhD required with an emphasis on immunology, neuroscience, psychiatry, psychology, biochemistry or cell biology. Background/experience or an interest in mindfulness is desirable. The individual will support the design, testing and conduct of experiments to examine the role of immune cells in response to common lifestyle factors. This will include both organizing/performing the human subject testing as well as wet lab experiments with blood samples and subsequent data analysis. The individual will be responsible for writing research reports, preparing presentations and supporting the preparation of research proposals for funding. Additional duties will include experimental design, data analysis and interpretation as well as identifying and addressing research challenges as they arise. The successful applicant will have the opportunity to expand their knowledge/skill set in a dynamic multi-disciplinary environment. Please send a cover letter and CV to puchalski@wisc.edu.